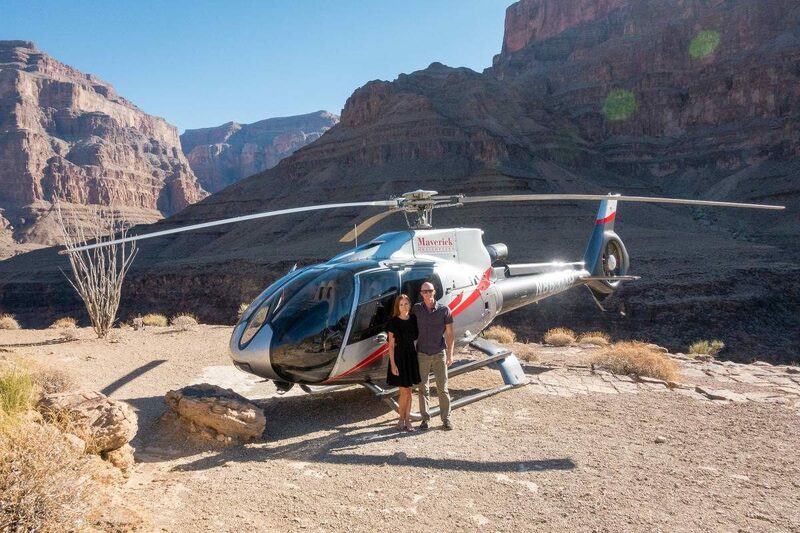 Do you want the best views of the Las Vegas Strip, Valley of Fire, or the Grand Canyon? I don’t think I need to tell anyone that the best way to see this is by the helicopter. Sit back and relax, as you’ll see some photo inspiration for your next excursion in Las Vegas here. 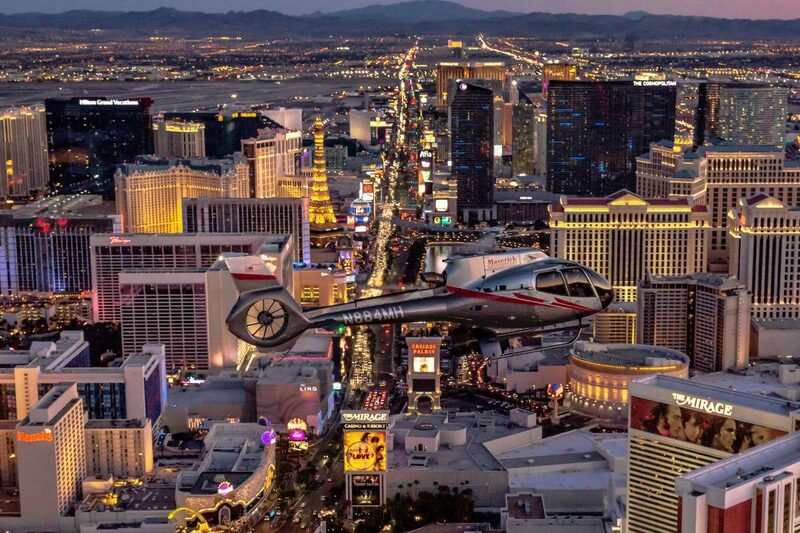 My tour with Maverick Helicopters started at 4:45 am when I got picked by from the hotel and driven to the terminal. Everyone was professional, accommodating, and had a great sense of humor when Matt and I got totally lost looking for the bus pick up at the Venetian Hotel (it’s really a maze there!). After a quick briefing, we hopped on our helicopter. Headsets on and we flew away into the sunrise. I must say that I was slightly worried about not getting a good seat as it can take up to 6 people, but the pilot was very professional and kept rotating everyone at both landings. All of us experience all points of view. 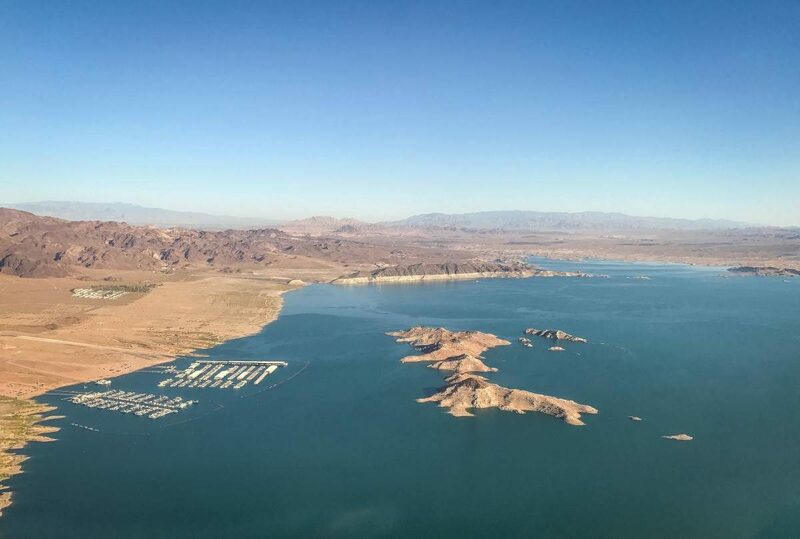 The first thing we saw after the strip was Lake Mead, about 24 miles from the strip. The reservoir delivers water to Arizona, Nevada, and California, providing nourishment to nearly 20 million people and large areas of agricultural farmland. It’s also a popular living spot for celebrities who perform in Las Vegas, such as Celine Dion. The second area that we flew over was the Hoover Dam, which really could be a different tour itself. 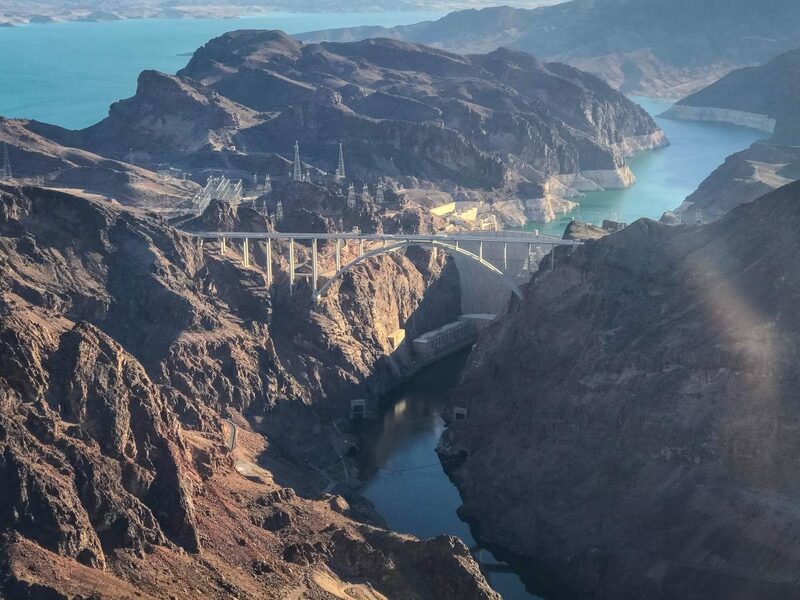 The Hoover Dam, built between 1931 and 1936 on the Arizona-Nevada border during the Great Depression by the U.S. Bureau of Reclamation, served the purpose of clean water from the Colorado River to promote economic development. As the Grand Canyon came into sight I understood why it’s way better to see it from the air first. It stretches an impressive 277 miles long and 18 miles wide. Carved by the Colorado River up to 70 million years ago, it’s truly a masterpiece. We flew in the middle of the canyon, while the sun was slowly rising up, lighting the whole landscape. 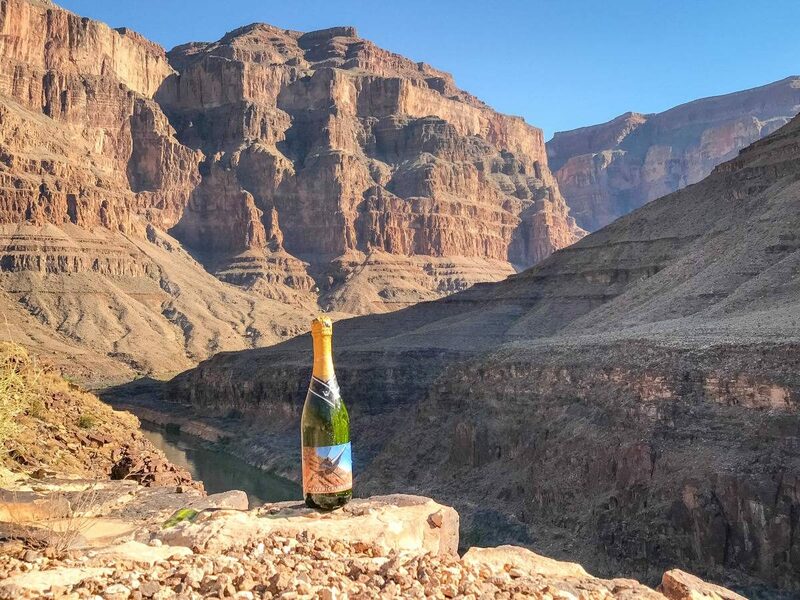 Upon landing at the Grand Canyon we got served some champagne. While it was still early in the morning, unlike the fighter plane, I wasn’t ‘driving’ the aircraft so I didn’t hesitate to have a glass. As it was very early in the morning, we had the entire spot to only our helicopter and its seven passengers. 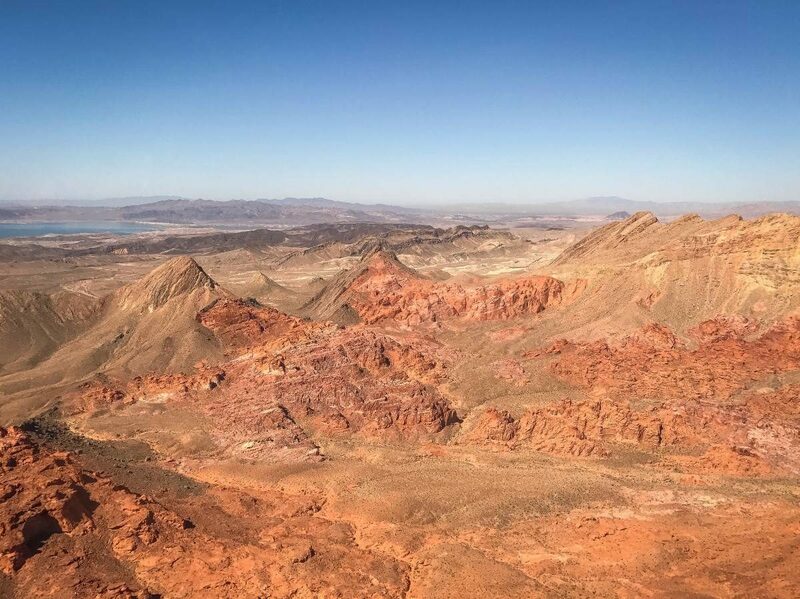 On the way back to Las Vegas, we flew over the Valley of Fire. Located in the Mojave Desert, approximately 58 miles Northeast of the Las Vegas Strip, it’s surely the most colorful 46,000 acres of the desert landscape. These red sandstone formations, formed from great shifting sand dunes are incredible from the air, or explored on an ATV. 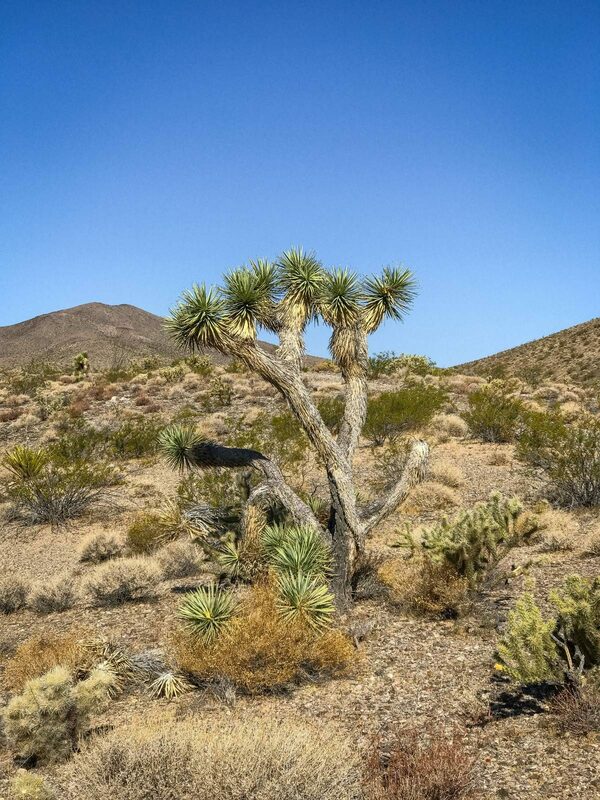 I must admit that I never thought too much about Joshua Trees. While we stopped for fuel, I walked around to admire some of these trees, also known as Yucca Palm. 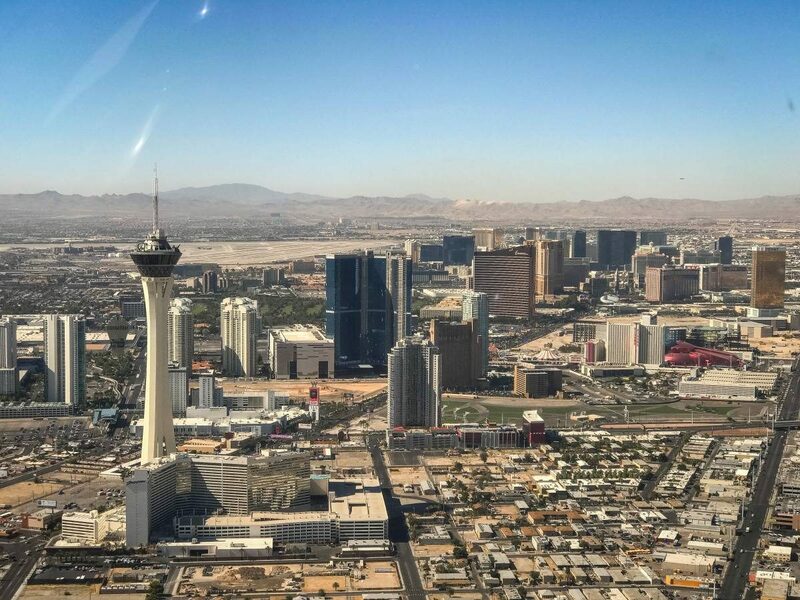 The trip finished with a fly by over the Las Vegas Strip, an attraction in its own right. While I’ve done the helicopter flight at night in the past, during the day I got to see completely different things. It’s a good way to get a peek of the best pools in Vegas. The South Rim is the most touristy and usually, shown in the movies. 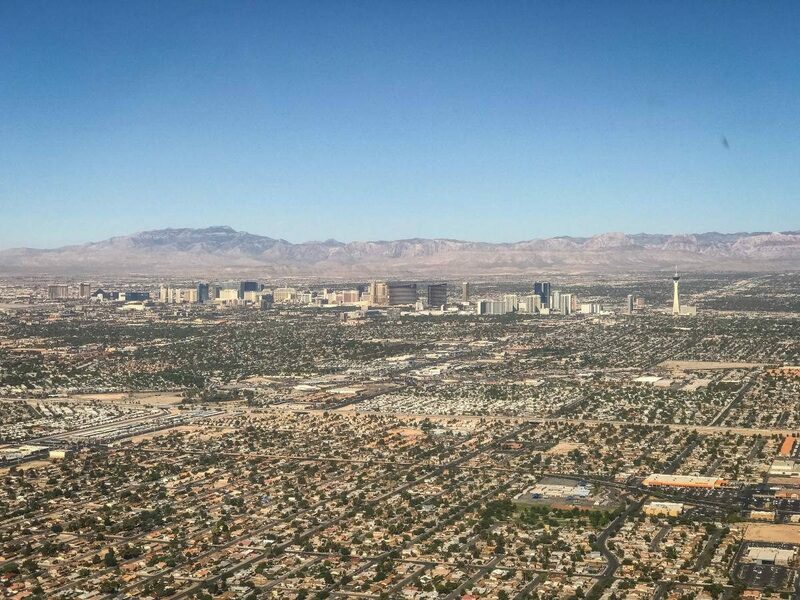 From Las Vegas, it can be reached by bus, car and small plane. The West Rim is a relatively new place of interest. It’s where the glass platformed Skywalk is. Helicopters are allowed to travel to the bottom of the Canyon there. The North Rim is considered more remote, as it’s higher than the South and West Rim. Time of the day is important for your tour. My trip was early in the morning so no other helicopters were around. 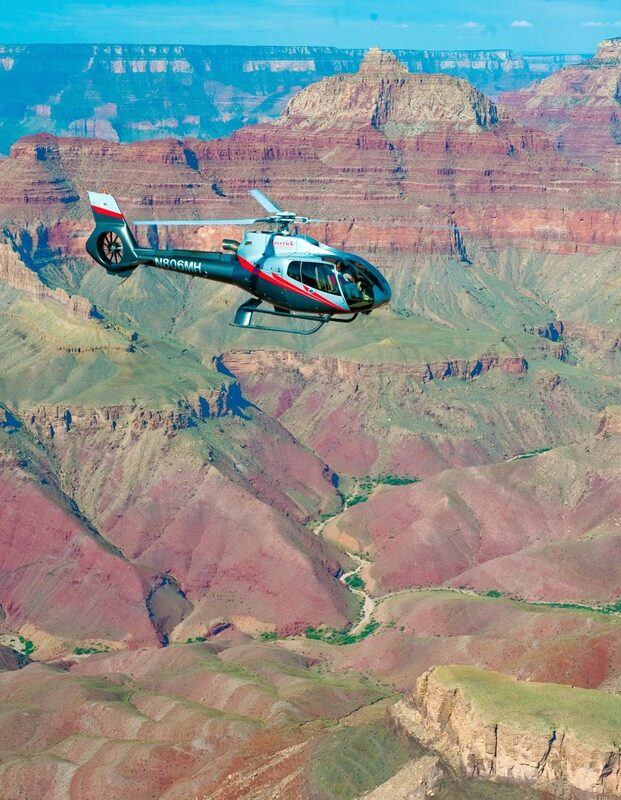 The later in the day the more helicopters there are, both in the air and at the Grand Canyon landing spot. Do you have any questions about which helicopter flight to choose? Share your thoughts in the comment section below! Next Post Los Mejores Cenotes en México: La guía más completa. Wow, excellent travel helicopter report.